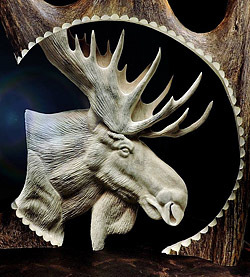 Antler carving is possible largely because of power tools which make use of burrs. 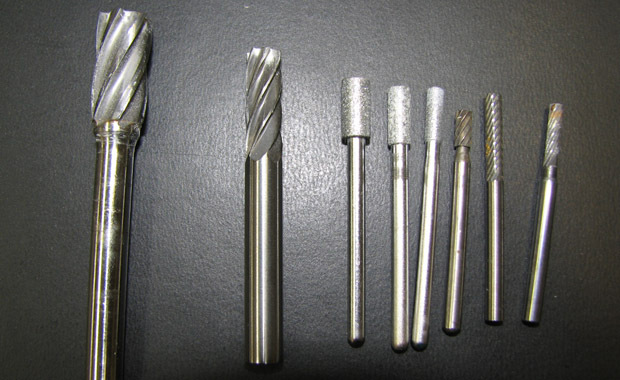 Burrs are made from high speed steel, tungsten carbide or a diamond matrix. 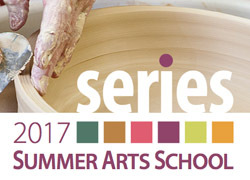 The cutting edges can be single or double fluted. 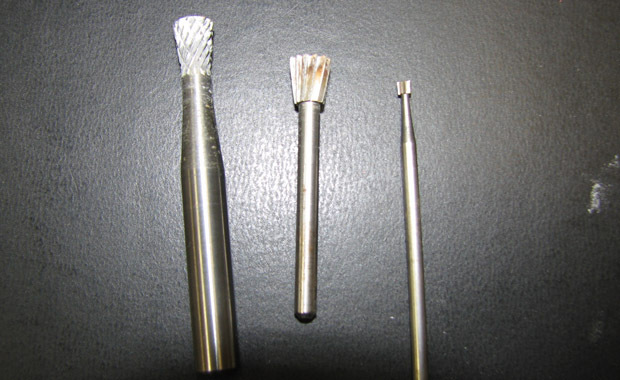 They come in a variety of sizes and shapes and are used with a variety of flexible shaft or micro motor tools. 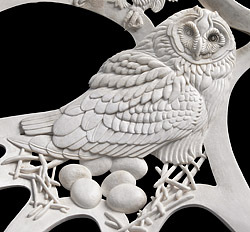 When you first start carving, you may purchase a Dremel kit from a local hardware store. This usually comes with the motor, flexible shaft and an assortment of burrs. Most of these burrs are useless for carving, so it will be necessary to purchase them separately. 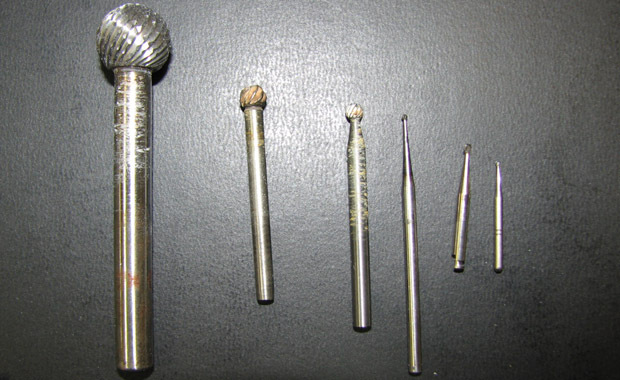 I have included images of some of the most useful burrs for carving antler. That depends, Serge. First thing I’d do would be to clean the burr using Easy Off (yup, an oven cleaner). Spray it on, let it sit for a bit, then rinse and brush the gunk out with an old toothbrush. (Use gloves, of course). Then inspect the burr. 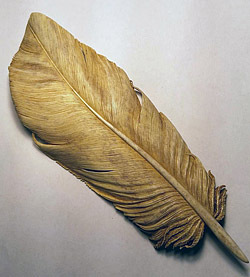 Even though the burr may have dulled a bit, it might still be useful since it will not be as aggressive when carving. 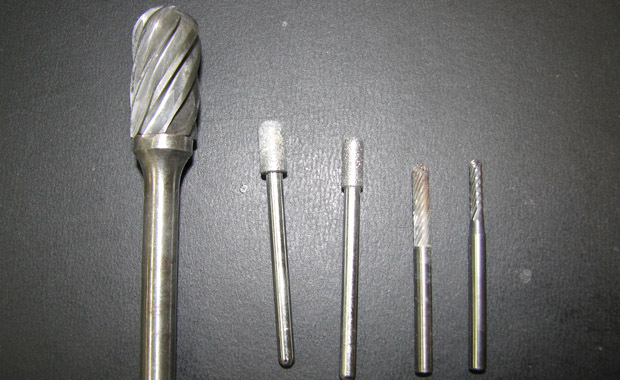 The HSS burrs will dull faster than the Carbide. Use care when cleaning the diamond burrs this way – they may not really need cleaning anyway and the matrix may dissolve with the Easy Off. I had a question about which burrs might work best with horn. In my experience, the double fluted burrs are better and particularly the round burrs. They tend to cut through the horn better with less snagging and damage to the flexible shaft. This is not to say that other burrs are not useful, you’ll just need to be careful about snagging. Shane, I had some trouble figuring out how to post that question yesterday. Thanks so much for your help. I was worried about burning the horn but that helped. 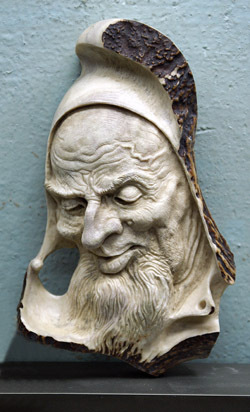 After seeing your artwork I am so excited to get started on carving. I am starting with some domestic sheep horns until I feel comfortable enough to start tearing up an expensive wild sheep horn. As long as you are using good burrs, you shouldn’t have a problem. That isn’t to say you won’t encounter some times when the horn starts to smoke. Just finish the cut, then go back in later and touch the area lightly with the burr to clean off the burned bits. Also, what tool do you use to shave the outer rough layer off the sheep horn? 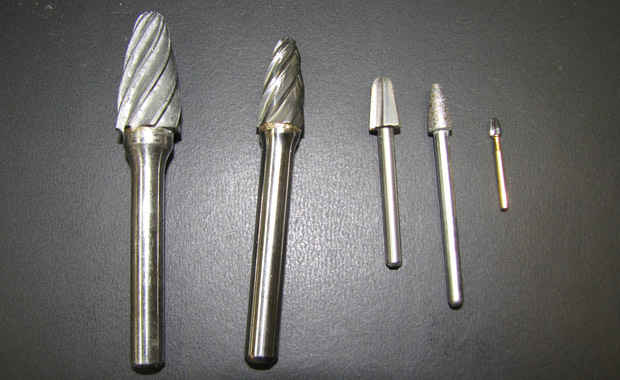 The large 1/4″ round carbide burrs give the most control, though it is slow going. 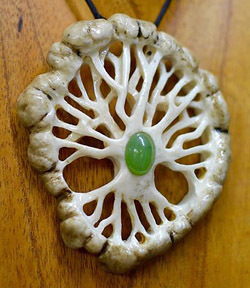 I am just starting to carve Elk antler tips into pendants and such.. What kind of tools should I use for this? 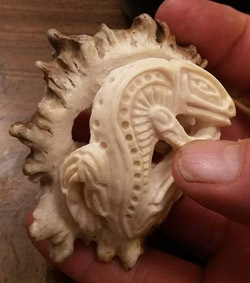 Is there anywhere to find out how to prep the antler tips pre and post carving? I looked up a few books but none of them really talking about carving the antlers into things 😦 Can you help? Thanks for the question, Tracey. You’ll have to look up the Emax online to see what current costs are. In Canada, because of the variable exchange rate, it can cost between $950 – $1200 dollars. The drill or hand piece I use comes with the Standard set. There is also a High Torque set. The hand piece is joined to the controller with a cord.